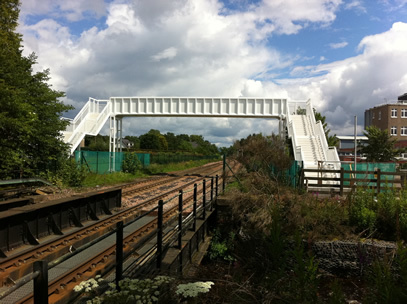 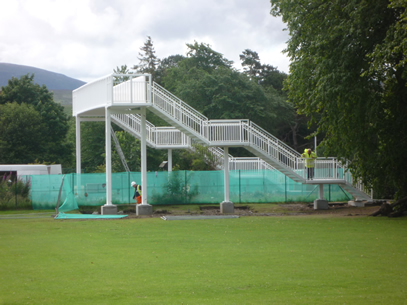 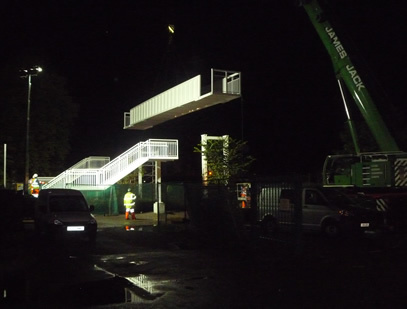 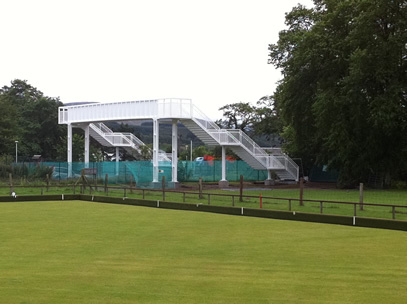 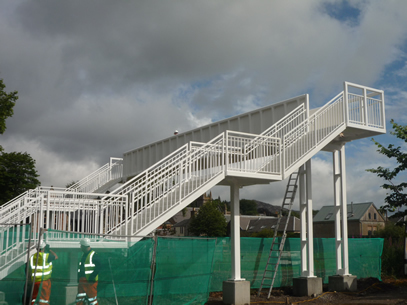 A fully fabricated and installed footbridge at Victoria Park, Ebbw Vale, South Wales. 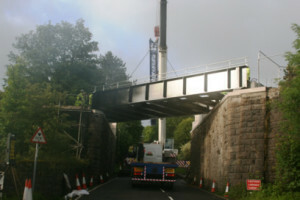 The bridge is 35mtrs long, weighing nearly 35 tonnes in weight and crosses a railway line and river. 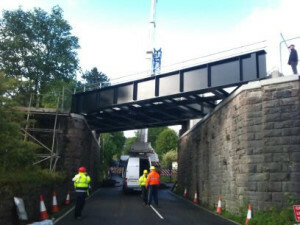 The bridge fabricated in our own workshop was delivered to site in two halves and installed over a week-end. 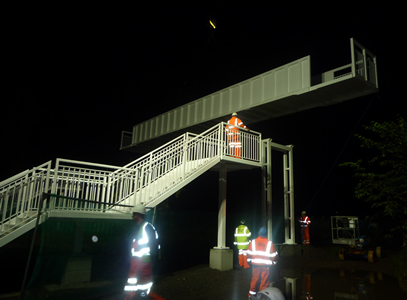 The Walpole Railway Footbridge in Llanhilleth South Wales, 20 mtrs long, fully fabricated in our own workshops and installed in an overnight possession. 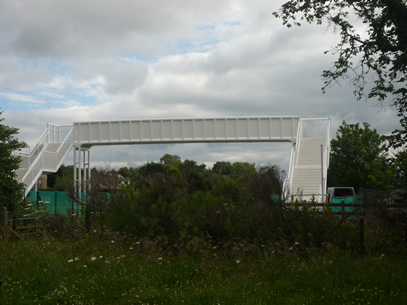 The Nant-y-Waun footbridge in Brynmawr Gwent is an ornamental bridge 20 mtrs long creating a circular footpaths around a landscaped old industrial pond. 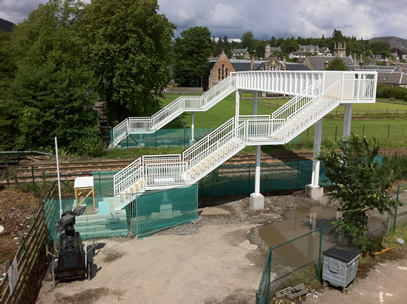 Kingussie High School Footbridge, Highlands, Scotland. 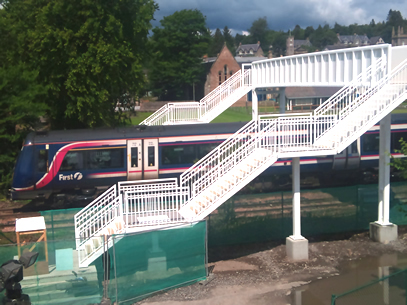 Saturday July 16th.